For more information call Decatur Public Library at 256.353.2993, ext. 100. The River City Runners Club will host the annual Delano Park 12-Hour Run on March 7, 2015, at Delano Park. Registration is open and entries received to date represent ten states as far north as Massachusetts and Wisconsin and westward to Texas. The race consists of multiple laps of a USATF-certified one-mile path through Delano Park. Participants can compete as individuals or as part of relay teams (2-4 persons) with the goal to complete as many laps as possible within the 12-hour time limit. The event will kickoff at 6 a.m. and conclude at 6 p.m. Online registration is available at www.ultrasignup.com, keyword Delano or race forms are available by contacting jklca5@att.net. Packet pickup and late registration for 12-Hour and 50 mile only is set for Friday, March 7th from 5:30 to 7 p.m. at Westminster Presbyterian Church located at 801 Jackson Street. Along with the 12-hour run, there will be a 50-mile race for those interested in running for a set distance as opposed to a set time. Walkers are also welcome to compete. Each participant will receive a personalized plaque, a race t-shirt, and other race goodies. In the 12-Hour Run, awards will be given based on highest mileage to the top 3 places overall, masters winner, and grandmasters winner for both genders. Relay awards based on mileage will be given to the top team. In the 50-mile, awards based on time will be presented to the first male and female individuals. The number of entries will be limited to 200 total including relay teams. The race began in 2007 with just 27 runners. Unfavorable weather conditions, from thunderstorms and hail to snow and ice, have not slowed the pace. Last year, the event attracted 135 runners from across the United States with the individual 12-hour winner running 72 miles. The course record, set in 2011, is 82 miles. The 50-mile course record is 5:50:52 set last year, and the most miles run by a relay team is 117. Delano Park is located at 825 Gordon Drive Southeast in Decatur. Considered the wild, emerald jewel in the heart of Decatur’s historic downtown, Delano Park features a gorgeous WPA Rose Garden, Riverwild Garden of native plants and contemporary sculpture, over four hundred legacy trees, universally accepted playground, splash pad, gazebo, walking trail, and tennis courts. Net proceeds from the race benefit the Centers for Developmentally Disabled - North Central Alabama. 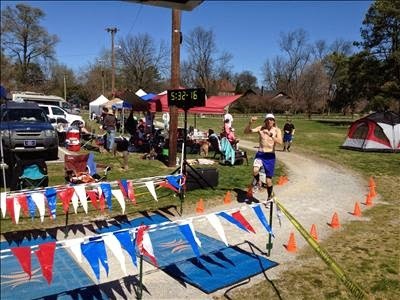 For more information, visit, www.ultrasignup.com, www.facebook.com/delano12, or contact Jon Elmore at 256.301.6221 or jklca5@att.net. West Morgan Lady Rebels and East Limestone Lady Indians will co-host annual soccer tournament at Jack Allen Recreation Complex March 6-7. The first weekend in March, 20 area high school varsity teams will make their way to the Jack Allen Recreation Complex for the annual River City Shoot-Out, a two-day soccer tournament sactioned by the Alabama High School Athletic Association. 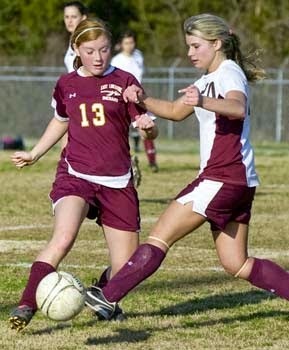 Co-hosted by the West Morgan Lady Rebels and the East Limestone Lady Indians, the competitive high school varsity soccer tournament made its debut in 2013 with eight area high school girls’ teams competing. This year’s competition, set for March 6-7, 2015, has been expanded to include varsity boys’ teams. Sanctioned by the Alabama High School Athletic Association, the River City Shoot-out will use a round robin play with each division crowning a champion for the girls and the boys will play bracket play with each team playing three matches. Registration is closed and teams to compete in the girls division include Fort Payne, Grissom, Guntersville, and Lee in the Platinum Pool; East Limestone, Gardendale, Madison County and West Morgan in the Gold Pool; and Buckhorn, Florence, Madison Academy, and Westminster in the Silver Division. The boys division includes Buckhorn, James Clemens, Madison Academy, Mars Hill, Athens Bible, East Limestone, Lee, and Madison County. Matches will be played on Friday, March 6 at 6 p.m. and 7:30 p.m. and at 10 a.m., 11:30 a.m., 2 p.m. and 3:30 p.m. on Saturday, March 7. Admission is $10 per day per person or $15 per person for a weekend pass. The idea for the tournament began with conversations between West Morgan High School girls soccer coach Brandon Rice and Jack Allen Recreation Complex Manager David Wisdom. Eight high school girls soccer teams participated in the first tournament held in 2013. For more information on the River City Shoot-out including a tentative schedule, contact Event Organizer Brandon Rice at 256.476.0564 or FBRice@morgank12.org. The Jack Allen Recreation Complex contains 10 international size lighted fields with laser-graded certified sports turf and a computerized irrigation system. With the additional fields located in Point Mallard Park, the city of Decatur has quickly become known nationally as a top rated soccer tournament venue. For more information on the Jack Allen Recreation Complex, visit www.decatursports.com. The Alabama Student Angler Bass Fishing Association (ASABFA) is bringing its fishing trail to Decatur on Saturday for a one day tournament on Wheeler Lake. Ingalls Harbor will host the first regional tournament for 2015 on Saturday, February 14 where approximately 300 anglers are expected to compete. Academy Sports and Outdoors will host the weigh-in beginning at 2 p.m. The non-profit ASABFA was established in 2010 as a grassroots umbrella organization in Alabama leading the way for the development of high school bass fishing clubs that combine the sport of bass fishing in a way that promotes angler education by passing along traditions associated with the thrills of the outdoors on our great Alabama rivers and lakes. ASABFA is dedicated to the recruitment and successful development of tomorrow’s future anglers to excel in the areas of leadership, personal, professional, and educational development while fostering an appreciation of the great outdoors and the love of bass fishing as a sport through competitive tournaments, activities, and contests. The 2015 schedule includes five regional tournaments and an Annual Student Angler Bass Fishing Association State Championship. The tournament trail kicks off on February 14 on Wheeler Lake and will be followed by Coosa River on March 7, Lake Martin on April 4, Lake Eufaula (date TBA), Pickwick Lake (date TBA), and concludes with the State Championship on Smith Lake on May 15-16. According to tournament organizers, over 300 student anglers and approximately 160 boat captains, coaches, and advisors are registered for the February 14 tournament. The student anglers are made up of seventh to twelfth grade boys and girls from across the state. Blast-off will take place at safe light and weigh-in will be held at 2 p.m. at Academy Sports and Outdoors located at 1205 Wimberly Drive SW in Decatur. A pre-tournament meeting is set for 6:30 p.m. on Friday, February 13 at Ingalls Harbor Pavilion. For more information, contact Barry Corbman at 334.300.4437 or at bamaoso@gmail.com. Thirteen collegiate softball teams from across the Southeast will travel to Decatur to compete in the 2015 Alabama Arctic Blast hosted by Shorter University Softball. Set for February 19-21, 2015, at the Wilson Morgan Softball Complex in Decatur, this year’s tournament has been expanded to include JUCO teams in addition to NAIA teams. Games get underway at 5 p.m. and 7 p.m. on Thursday, February 19th. The following day, games are scheduled at 3 p.m., 5 p.m., and 7 p.m. and on Saturday, February 21st, games will be played at 11 a.m., 1 p.m., and 3 p.m. Admission for spectators is $10 per day ($5/day student) or a weekend tournament pass will be available for $15 per person. From 2008 to 2011, the invitational was held on Shorter University’s home field, Alto Park Softball Complex located in West Rome. In 2011, organizers announced the relocation of the event from Rome to Wilson Morgan Park to accommodate and allow for its continued growth. In 2012, the tournament made its first appearance in Decatur and attracted 14 teams from six states. Wilson Morgan Softball Complex will serve as host venue through 2016. Wilson Morgan Softball Complex features six lighted fields, centrally located concessions, quad, press box, batting cages, and complete Wi-Fi access enabling live video and statistical streaming on all fields. Each field has a clay infield and beautiful grass, maintained by electronically controlled underground irrigation systems. The facility can seat over 2,000 spectators with additional seating available. For more information on Wilson Morgan Softball Complex, visit www.decaturparks.com. For more information on the Alabama Arctic Blast, contact David Wisdom at 256.341.4831. Shorter University is a liberal arts Southern Baptist-affiliated University located in Rome, Georgia. For more information, visit www.goshorterhawks.com.